I was intrigued to discover last week that Witold Lutosławski (right) had identified two passages in his music where he was willing to acknowledge the influence of birdsong. The source was Bálint András Varga’s new book of interviews, Three Questions for Sixty-Five Composers (Rochester, NY: University of Rochester Press, 2011). Hungarian readers have had access to most of these interviews, plus a good few more that are not in the English edition, since its original publication 25 years ago as 3 Kérdés, 82 Zeneszerző (Budapest: Editio Musica Budapest (Zeneműkiadó Vállalat), 1986). But for English-language readers this is our first opportunity to study the responses of a wide range of composers to three identical questions (with follow-ups) that were posed to them by Varga. 1. Have you had an experience similar to Witold Lutosławski’s? He heard John Cage’s Second Piano Concerto [sic: Varga refers to the Piano Concert (not Concerto)] on the radio – an encounter which changed his musical thinking and ushered in a new creative period, the first result of which was his Jeux vénitiens (1960-61). 2. A composer is surrounded by sounds. Do they influence you and are they in any way of significance for your compositional work? 3. How far can one speak of a personal style and where does self-repetition begin? Lutosławski’s response to 1. was already contained in Varga’s valuable interview with him that he conducted in Warsaw in 1973 – Lutosławski Profile (London: Chester Music, 1976), the first extended dialogue with Lutosławski published in English. Lutosławski’s reaction to 3. came in written form and is too guarded to be revelatory, except for his acknowledgment that Varga was right to spot a motivic connection [a fairly minor one, in truth] between the central section of ‘Capriccio notturno e Arioso’ in the Concerto for Orchestra (1950-54) and the opening and closing bars of Novelette (1978-79). 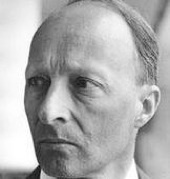 Lutosławski was the most reticent of composers when it came to acknowledging extramusical connections in his pieces, but in answer to question 2. he cites the blackbird, again in Novelette. He says that “in the fourth movement [‘Third Event’], I have recognized the blackbird in the rhythm of the main subject as played by the violin[s] [fig.26]”. Varga includes a reproduction of the theme (p.163), which Lutosławski wrote out for him on his Budapest hotel’s headed notepaper. 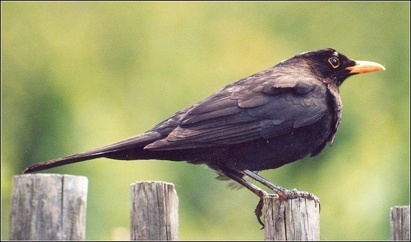 It was apparently a Norwegian blackbird! An even more tantalising prospect is raised by Lutosławski’s second example, the opening solo flute phrases of the third movement of Jeux vénitiens (1960-61): “They do not recall the song of any particular species, yet they do make the impression of birdsong”. The flute solo dominates this movement (written solely for the revised, Warsaw version of Jeux vénitiens) and plays variants of nine different motifs – could its entire cantilena have some coincidental link with birdsong? Or was a greater part or all of it an unrevealed inspiration for the composer? This is a fascinating proposal, because all of these nine motifs also appear – again in variation, but this time superimposed – in the seven-voice woodwind texture in section A of the first movement. Could this texture be a bird chorus? It is surely no accident that the motif which Lutosławski picks out is the sole survivor (it’s the opening motif of the first flute part in this Warsaw version) from the discarded Venice version of section A, where it appears as the third motif in the second flute. Bird chorus? I am surely not the only listener to have heard echoes of Ravel’s ‘Dawn Chorus’ from Daphnis et Chloé – and even perhaps of the fantastical sylvan opening of Szymanowski’s First Violin Concerto (1916) – in the opening of Lutosławski’s Piano Concerto (1988). This woodwind texture is also presaged in the first movement of his Trois poèmes d’Henri Michaux (1961-63) at Figs 85-89. Listen elsewhere in this movement, to the elusive woodwind texture (again!) between Figs 35-84, and the aural equivalent of starlings flocking at dusk springs to mind. During this section, the chorus sings of ‘Ombres de mondes infimes, ombres d’ombres, cendres d’ailes‘ (‘Shadows of infinitesimal worlds, shadows of shadows, ashes of wings’). Such avian speculations are not as idle or as inappropriate as they might seem. Lutosławski’s first observation in 2. is: “I do not use the sounds of nature consciously in my musical work but they must exert a subconscious influence because, when looking through the finished score, I have in the past come upon traces of them in the themes of some of my pieces”. Which pieces might these be? Mi-parti (1976)? Would we be looking exclusively for woodwind textures? Not if Lutosławski’s observation about Novelette is taken into account. So how about the String Quartet (1964)? Or Paroles tissées (1965)? And what of Partita (1984), Chantefleurs et Chantefables (1989-90), both composed after Lutosławski’s responses to Varga’s questions? Was this Lutosławski’s epiphanic moment, akin to Szymanowski’s evocation of ‘a nightingale singing spontaneously in the fragrant May nights’?